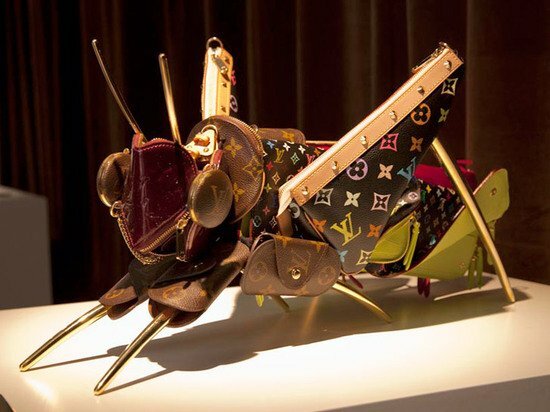 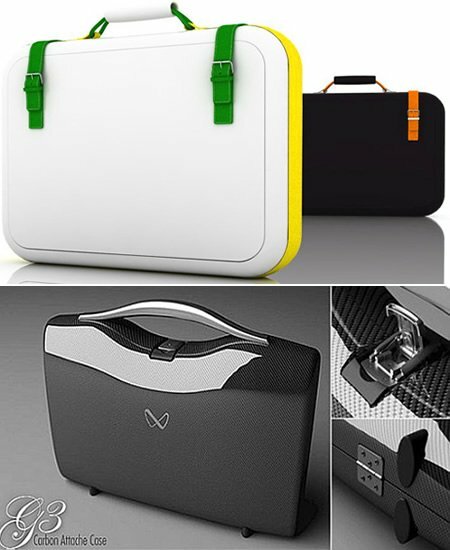 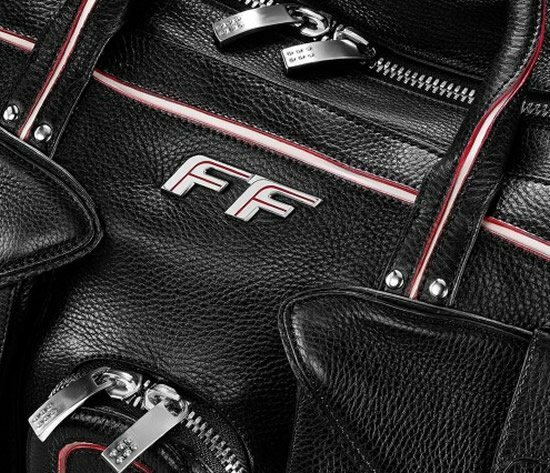 If you think that a bag is much more than just a way to carry things around, then you need something that adds that extra oomph to your list of vanities. 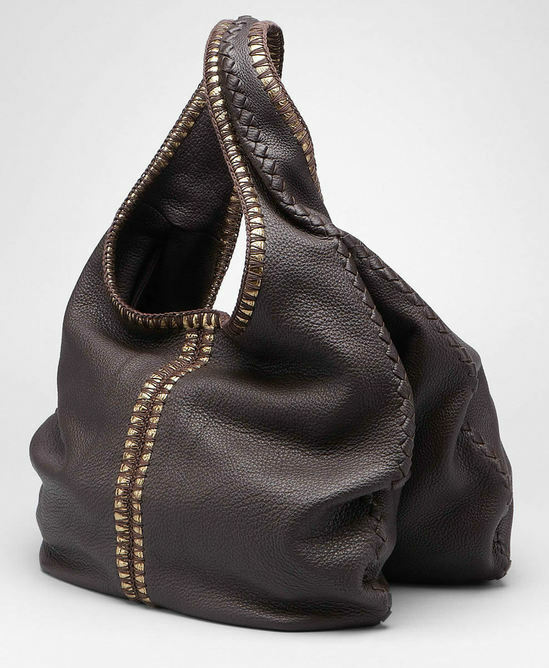 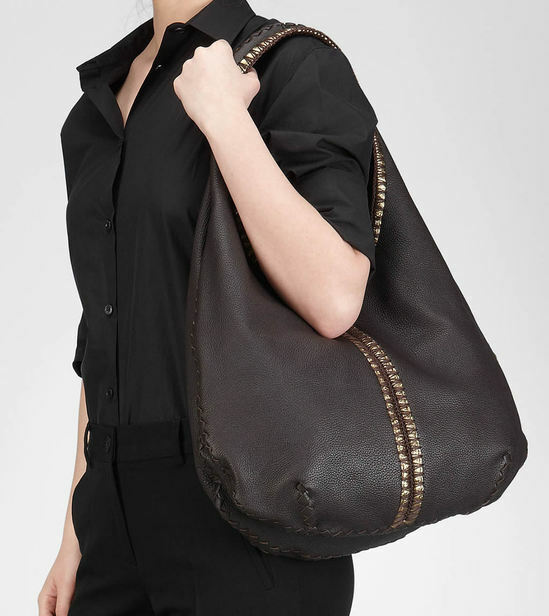 And if Bottega Veneta is your poison, then the Espresso Oro Cervo Uncinetto Duo Hobo is just what the doctor prescribed. 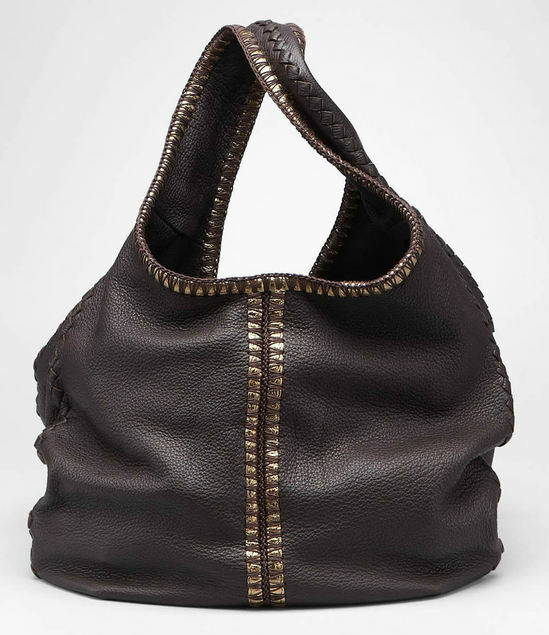 Although it’s not loud and in your face, it adds just the right amount of class to your attire. 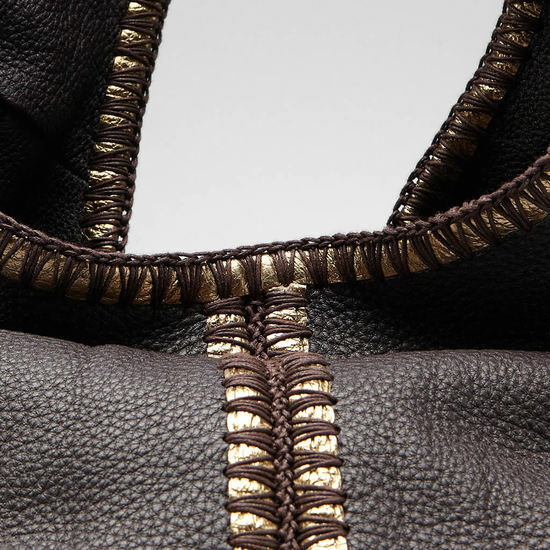 Sporting 16th-century-inspired crochet embroidery; also known as uncinetto, contours of the bag have been highlighted with gold sheeting. 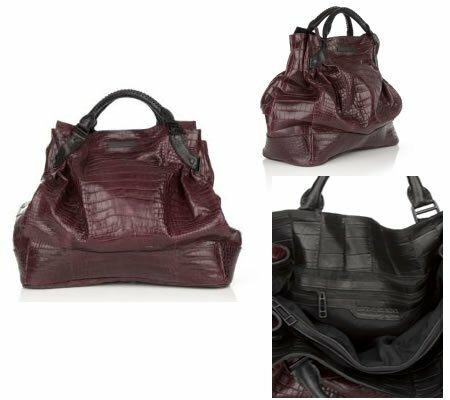 Crafted in Elegant cervo leather and suede lining the soft bag features an interior zip pocket and mobile phone compartment. 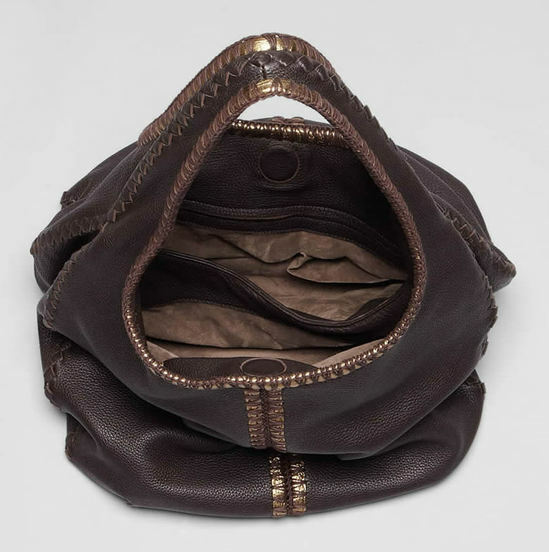 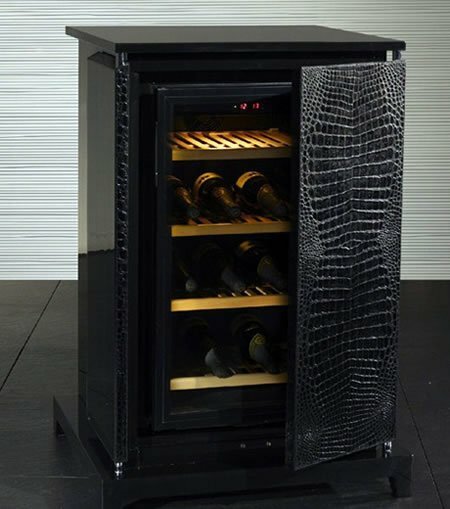 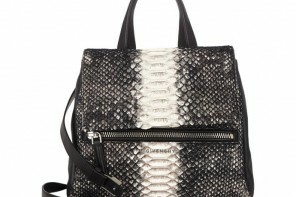 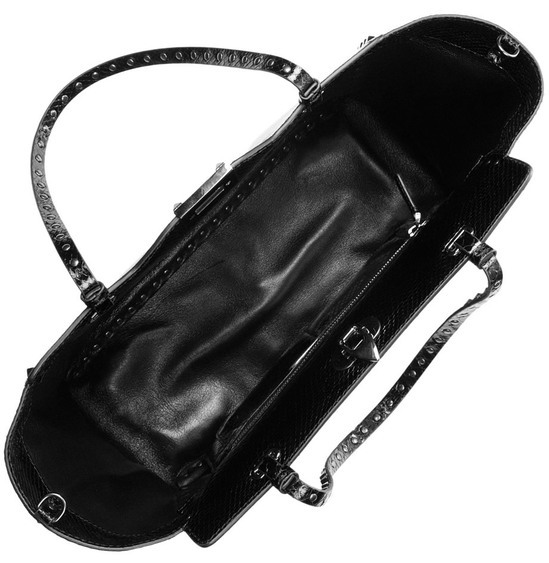 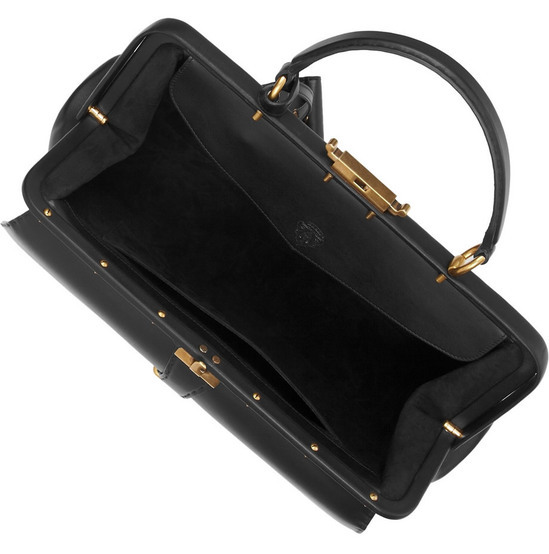 Priced at $3,500, the bag is 16.9 inches wide, 22 inches high, 7.9 inches deep and features a 9.1 inch handle drop.